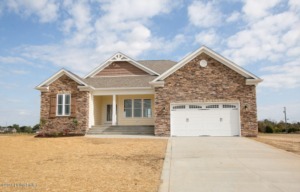 New construction list price is a reflection of builders current budget home has tons of upgrades. Custom hard wood floors, granite tops in kitchen, barrel ceilings and vaulted ceilings custom cabinets and so much more. Seller has upgraded flooring, cabinets, sprayed in insulation and added many more upgrades too many to mention its a must see! Click to schedule your showing.